Customers can now apply their own recordings to the library of 21 templates. 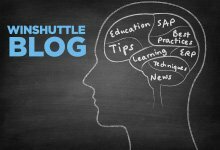 In April we saw the launch of Winshuttle Journal Entry 5.0. Targeted specifically at finance users, Journal Entry is starting to grow in popularity as a slick alternative to using Transaction Runner to run scripts for posting manual journals, accruals and various AP and AR documents in SAP. 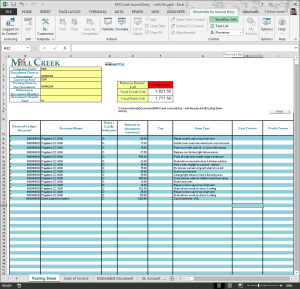 Winshuttle customers that already have Winshuttle Studio or the Studio Runner already have the ability to run Journal Entry. They simply need to install the product. With v5.0 comes a couple of powerful new capabilities to enhance an already rich user experience for posting journals in SAP. The first of these new features is the ability to apply your own recordings to the application in what can be best described as self-service application customization. Earlier versions required the assistance of support but with 5.0 you’re able to add your own scripts. Another feature that comes with 5.0 is the ability to suppress the extended log column. Those familiar with Winshuttle Transaction recordings will appreciate that the extended log provides the ability to see additional messages and warnings depending on the way your SAP system is configured for a given transaction. Unfortunately some configuration of the journaling transactions in SAP can produce very verbose messages and warnings that can in fact impair the speed with which journals are posted so on occasions you may wish to suppress these messages. A navigation ribbon in Excel that makes the manual journal process easy and intuitive for finance professions. Journal Entry 5.0 is compatible with the Winshuttle Transaction 10.5 Function Module and comprises a bundle of 21 templates based on 14 transactions codes and one of the SAP journal posting BAPIs. 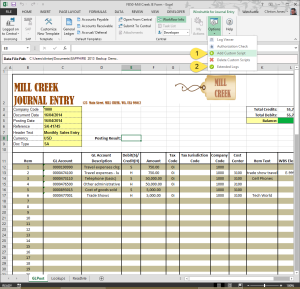 Journal Entry also works with Central 10.6 and Foundation for those wishing to use custom workflows with the solution. 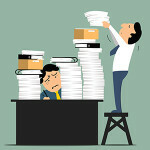 Unlike Winshuttle Transaction there’s no recording involved in getting started with Journal Entry. 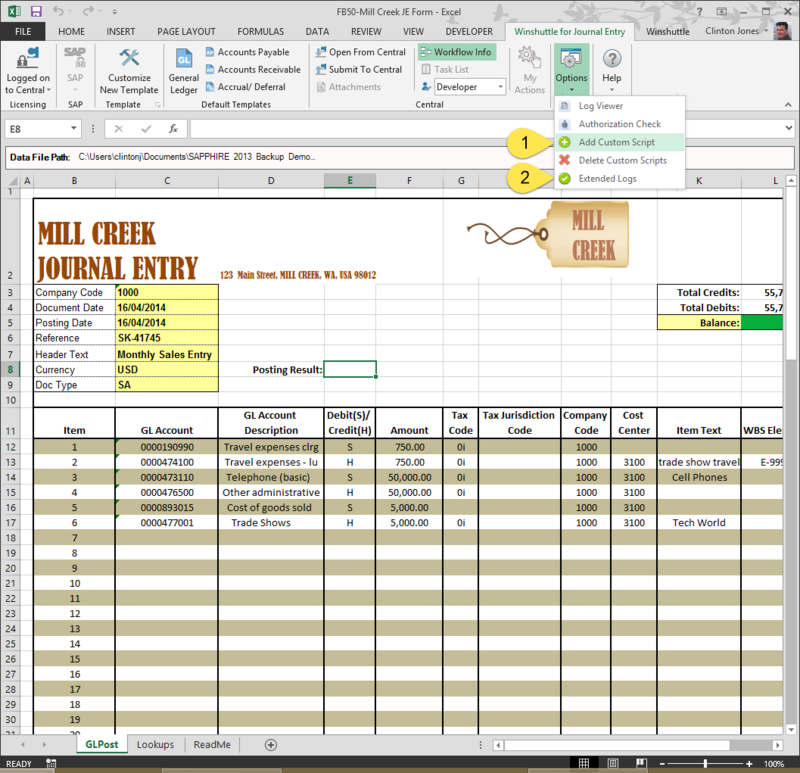 As a result most customers can be running within minutes of installing Journal Entry. You can learn more about Winshuttle Journal Entry and even see the product in action by visiting the Journal Entry product page or by downloading the product brochure to learn more about the product’s features.